I have been passionate about horses all my life. For many years as a young girl I would help out at my local livery and riding schools learning basic horse handling/keeping skills. As a young lady, in London, I spent most of my wages on riding lessons where I was taught dressage and jumping. Since owning my own horses I have thought hard about how I would like to be around them and how I would like to train them. I decided that Natural Horsemanship was the positive and progressive way forward, not only for my horses and their confidence, but for me and my confidence too. 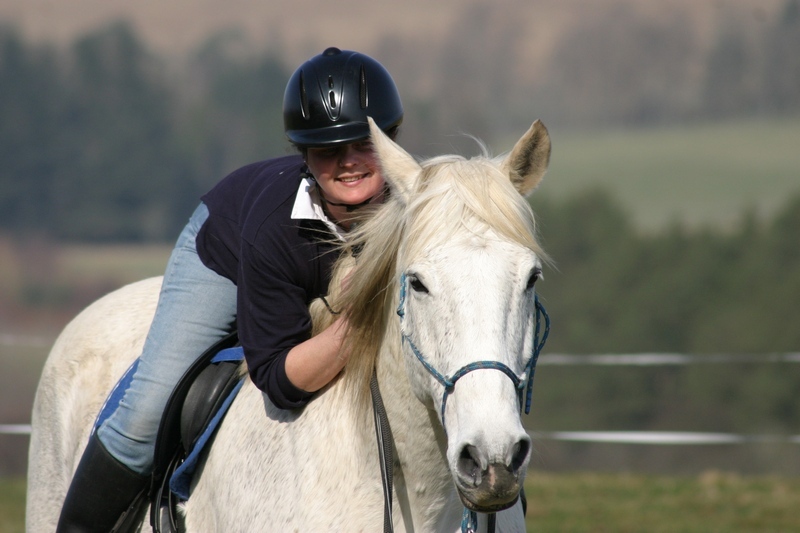 I have studied Horsemanship on a full time basis since 2000 and have been instructing students and their horses since 2004. 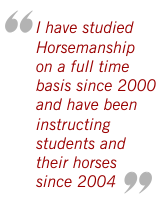 My horsemanship journey has had many influences but I have found that I have progressed my personal journey more through studying my own horses and those I meet through my students. 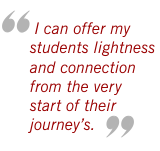 I have found that through a good foundation of Horsemanship training I can find and offer students the lightness and connection they are looking for from the very start of their own journeys. 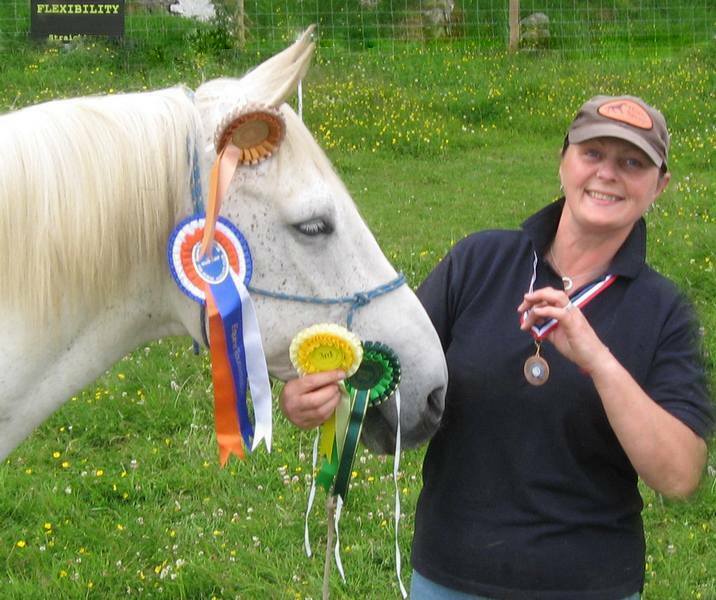 I did own 4 horses, with my husband here in Perthshire Scotland, and they ranged from a 15hh gypsy cob , two TB x’s and an 18.2hh pure Shire. I have brought all of these horses up to a safe, confident level of horsemanship, two backed and started and two re-started. The two TB x’s were up to a high standard of horsemanship and did a lot of work in large fields at liberty, dressage moves and jumping. At the moment I have the Shire and Gypsy cob working on skills to suit their personalities, age and spirit levels. 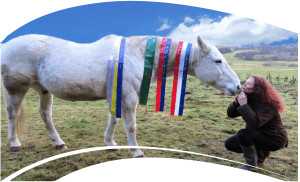 I took up Horse Agility in 2011 and was the first winner of the OLHA tests in Feb 2011. 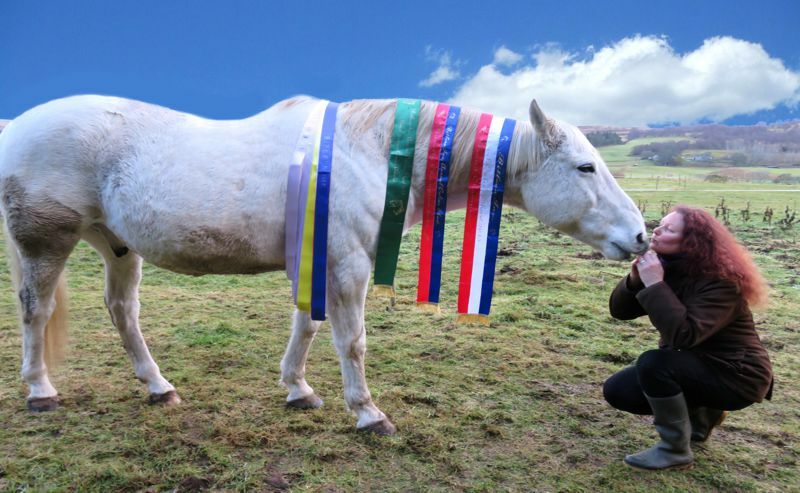 OLHA is online Horse Agility where you set the course at home, video yourself with your horse and send it in to Vanessa Bee at HA via email and get judged and scored accordingly. Solly and I (and sometimes Stormy too) have had a lot of fun doing these monthly tests. 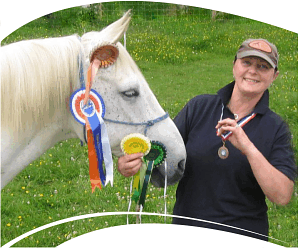 I am now a Horse Agility Accredited Trainer (HAAT) and can help train others to get good at this fast growing horsemanship sport. 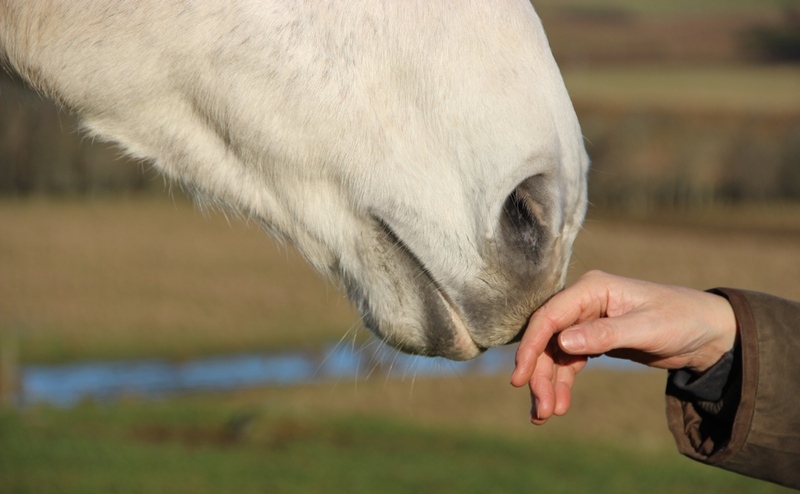 My aim is to help horses and owners have a better partnership so that communication between them is easier and lighter and their relationship is more harmonious and fun. Hope to see you somewhere along the trail. I had no idea what to expect from my first lesson with Shelley as I didn't know anyone that had had lessons with her previously. It was definitely a risk worth taking! 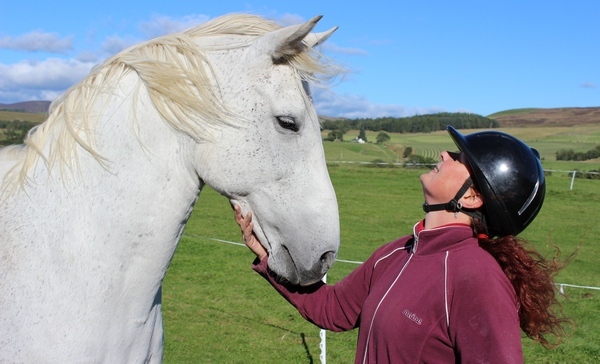 She gave me lots of new ideas and really pushed me (in a good way) to improve my horsemanship skills and her sense of humour made my lessons so much fun. 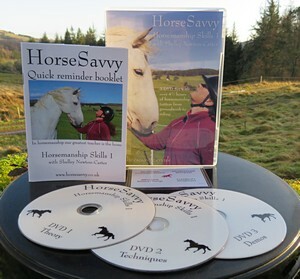 My horses and I are all the better for our Shelley lessons and her guidance and advice are second to none. When my foal was born, it was Shelley I immediately turned to to help me as I knew she was the one person I trusted 100% to get it right....and she did. Laura - Fife.